For other uses, see Occult (disambiguation). "The Occult" redirects here. For the book by Colin Wilson, see The Occult: A History. The occult (from the Latin word occultus "clandestine, hidden, secret") is "knowledge of the hidden" or "knowledge of the paranormal", as opposed to facts and "knowledge of the measurable", usually referred to as science. The term is sometimes taken to mean knowledge that "is meant only for certain people" or that "must be kept hidden", but for most practicing occultists it is simply the study of a deeper spiritual reality that extends pure reason and the physical sciences. The terms esoteric and arcane can also be used to describe the occult, in addition to their meanings unrelated to the supernatural. The term occult sciences was used in the 16th century to refer to astrology, alchemy, and natural magic. The term occultism emerged in 19th-century France, where it came to be associated with various French esoteric groups connected to Éliphas Lévi and Papus, and in 1875 was introduced into the English language by the esotericist Helena Blavatsky. Throughout the 20th century, the term was used idiosyncratically by a range of different authors, but by the 21st century was commonly employed – including by academic scholars of esotericism – to refer to a range of esoteric currents that developed in the mid-19th century and their descendants. Occultism is thus often used to categorise such esoteric traditions as Spiritualism, Theosophy, Anthroposophy, the Hermetic Order of the Golden Dawn, and New Age. Particularly since the late twentieth century, various authors have used the occult as a substantivized adjective. In this usage, "the occult" is a category into which varied beliefs and practices are placed if they are considered to fit into neither religion nor science. "The occult" in this sense is very broad, encompassing such phenomenon as beliefs in vampires or fairies and movements like Ufology and parapsychology. In that same period, occult and culture were combined to form the neologism occulture. Initially used in the industrial music scene, it was later given scholarly applications. The idea of "occult sciences" developed in the sixteenth century. The term usually encompassed three practices—astrology, alchemy, and natural magic—although sometimes various forms of divination were also included rather than being subsumed under natural magic. These were grouped together because, according to the historian of religion Wouter Hanegraaff, "each one of them engaged in a systematic investigation of nature and natural processes, in the context of theoretical frameworks that relied heavily on a belief in occult qualities, virtues or forces." Although there are areas of overlap between these different occult sciences, they are separate and in some cases practitioners of one would reject the others as being illegitimate. In his 1871 book Primitive Culture, the anthropologist Edward Tylor used the term "occult science" as a synonym for "magic". Occult qualities are properties that have no known rational explanation; in the Middle Ages, for example, magnetism was considered an occult quality. Aether (classical element) is another such element. Newton's contemporaries severely criticized his theory that gravity was effected through "action at a distance", as occult. In the English-speaking world, prominent figures in the development of occultism included Helena Blavatsky and other figures associated with her Theosophical Society, senior figures in the Hermetic Order of the Golden Dawn like William Wynn Westcott and Samuel Liddell Mathers, as well as other individuals such as Paschal Beverly Randolph, Emma Hardinge Britten, Arthur Edward Waite, and—in the early twentieth century—Aleister Crowley, Dion Fortune, and Israel Regardie. By the end of the nineteenth century, occultist ideas had also spread into other parts of Europe, such as Germany, Austria-Hungary, and Italy. Unlike older forms of esotericism, occultism does not reject "scientific progress or modernity". Lévi had stressed the need to solve the conflict between science and religion, something that he believed could be achieved by turning to what he thought was the ancient wisdom found in magic. The scholar of esotericism Antoine Faivre noted that rather than outright accepting "the triumph of scientism", occultists sought "an alternative solution", trying to integrate "scientific progress or modernity" with "a global vision that will serve to make the vacuousness of materialism more apparent". Hanegraaff remarked that occultism was "essentially an attempt to adapt esotericism" to the "disenchanted world", a post-Enlightenment society in which growing scientific discovery had eradicated the "dimension of irreducible mystery" previously present. In doing so, he noted, occultism distanced itself from the "traditional esotericism" which accepted the premise of an "enchanted" world. 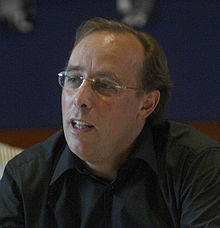 According to historian of esotericism Nicholas Goodrick-Clarke, occultist groups typically seek "proofs and demonstrations by recourse to scientific tests or terminology". In his work about Lévi, the German historian Julian Strube has argued that the occultist wish for a "synthesis" of religion, science, and philosophy directly resulted from the context of contemporary socialism and progressive Catholicism. Similar to spiritualism, but in declared opposition to it, the emergence of occultism should thus be seen within the context of radical social reform, which was often concerned with establishing new forms of "scientific religion" while at the same time propagating the revival of an ancient tradition of "true religion". Indeed, the emergence of both modern esotericism and socialism in July Monarchy France have been inherently intertwined. Another feature of occultists is that—unlike earlier esotericists—they often openly distanced themselves from Christianity, in some cases (like that of Crowley) even adopting explicitly anti-Christian stances. This reflected how pervasive the influence of secularisation had been on all areas of European society. In rejecting Christianity, these occultists sometimes turned towards pre-Christian belief systems and embraced forms of Modern Paganism, while others instead took influence from the religions of Asia, such as Hinduism and Buddhism. In various cases, certain occultists did both. Another characteristic of these occultists was the emphasis that they placed on "the spiritual realization of the individual", an idea that would strongly influence the twentieth-century New Age and Human Potential Movement. This spiritual realization was encouraged both through traditional Western 'occult sciences' like alchemy and ceremonial magic, but by the start of the twentieth century had also begun to include practices drawn from non-Western contexts, such as yoga. Although occultism is distinguished from earlier forms of esotericism, many occultists have also been involved in older esoteric currents. For instance, occultists like François-Charles Barlet and Rudolf Steiner were also theosophers,[a] adhering to the ideas of the early modern Christian thinker Jakob Bohme, and seeking to integrate ideas from Bohmian theosophy and occultism. It has been noted, however, that this distancing from the Theosophical Society should be understood in the light of polemical identity formations amongst esotericists towards the end of the nineteenth century. The earliest known usage of the term "occultism" is in the French language, as l'occultisme. In this form it appears in A. de Lestrange's article on that was published in Jean-Baptiste Richard de Randonvilliers' Dictionnaire des mots nouveaux ("Dictionary of new words") in 1842. However, it was not related, at this point, to the notion of "Ésotérisme chrétien", as has been claimed by Hanegraaff, but to describe a political "system of occulticity" that was directed against priests and aristocracts. 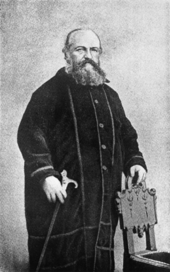 The French esotericist Éliphas Lévi then used the term in his influential book on ritual magic, Dogme et rituel de la haute magie, first published in 1856. In 1853, the Freemasonic author Jean-Marie Ragon had already used occultisme in his popular work Maçonnerie occulte, relating it to earlier practices that, since the Renaissance, had been termed "occult sciences" or "occult philosophy"—but also to the recent socialist teachings of Charles Fourier. Lévi was familiar with that work and might have borrowed the term from there. In any case, Lévi also claimed to be a representative of an older tradition of occult science or occult philosopy. It was from his usage of the term occultisme that it gained wider usage; according to Faivre, Lévi was "the principal exponent of esotericism in Europe and the United States" at that time. The earliest use of the term "occultism" in the English language appears to be in "A Few Questions to 'Hiraf'", an 1875 article published in the American Spiritualist magazine, Spiritual Scientist. The article had been written by Helena Blavatsky, a Russian émigré living in the United States who founded the religion of Theosophy. Various twentieth-century writers on the subject used the term "occultism" in different ways. Some writers, such as the German philosopher Theodor W. Adorno in his "Theses Against Occultism", employed the term as a broad synonym for irrationality. In his 1950 book L'occultisme, Robert Amadou used the term as a synonym for esotericism, an approach that the later scholar of esotericism Marco Pasi suggested left the term "superfluous". Unlike Amadou, other writers saw "occultism" and "esotericism" as different, albeit related, phenomena. In the 1970s, the sociologist Edward Tiryakian distinguished between occultism, which he used in reference to practices, techniques, and procedures, and esotericism, which he defined as the religious or philosophical belief systems on which such practices are based. This division was initially adopted by the early academic scholar of esotericism, Antoine Faivre, although he later abandoned it; it has been rejected by most scholars who study esotericism. A different division was used by the Traditionalist author René Guénon, who used esotericism to describe what he believed was the Traditionalist, inner teaching at the heart of most religions, while occultism was used pejoratively to describe new religions and movements that he disapproved of, such as Spiritualism, Theosophy, and various secret societies. Guénon's use of this terminology was adopted by later writers like Serge Hutin and Luc Benoist. As noted by Hanegraaff, Guénon's use of these terms are rooted in his Traditionalist beliefs and "cannot be accepted as scholarly valid". The term "occultism" derives from the older term "occult", much as the term "esotericism" derives from the older term "esoteric". However, the historian of esotericism Wouter Hanegraaff stated that it was important to distinguish between the meanings of the term "occult" and "occultism". Occultism is not a homogenous movement and is widely diverse. Over the course of its history, the term "occultism" has been used in various different ways. However, in contemporary uses, "occultism" commonly refers to forms of esotericism that developed in the nineteenth century and their twentieth-century derivations. In a descriptive sense, it has been used to describe forms of esotericism which developed in nineteenth-century France, especially in the Neo-Martinist environment. According to the historian of esotericism Antoine Faivre, it is with the esotericist Éliphas Lévi that "the occultist current properly so-called" first appears. Other prominent French esotericists involved in developing occultism included Papus, Stanislas de Guaita, Joséphin Péladan, Georges-Albert Puyou de Pouvourville, and Jean Bricaud. In this definition, "occultism" covers many esoteric currents that have developed from the mid-nineteenth century onward, including Spiritualism, Theosophy, the Hermetic Order of the Golden Dawn, and the New Age. Employing this etic understanding of "occultism", Hanegraaff argued that its development could begin to be seen in the work of the Swedish esotericist Emanuel Swedenborg and in the Mesmerist movement of the eighteenth century, although added that occultism only emerged in "fully-developed form" as Spiritualism, a movement that developed in the United States during the mid-nineteenth century. The term "occult" has also been used as a substantivized adjective as "the occult", a term that has been particularly widely used among journalists and sociologists. This term was popularised by the publication of Colin Wilson's 1971 book The Occult. This term has been used as an "intellectual waste-basket" into which a wide array of beliefs and practices have been placed because they do not fit readily into the categories of religion or science. According to Hanegraaff, "the occult" is a category into which gets placed a range of beliefs from "spirits or fairies to parapsychological experiments, from UFO-abductions to Oriental mysticism, from vampire legends to channelling, and so on". The neologism "occulture" was used within the industrial music scene of the late twentieth century, and was probably coined by one of its central figures, the musician and occultist Genesis P-Orridge. It was in this scene that the scholar of religion Christopher Partridge encountered the term. Partridge used the term in an academic sense. He stated that occulture was "the new spiritual environment in the West; the reservoir feeding new spiritual springs; the soil in which new spiritualities are growing". ^ Underhill, E. (1911). Mysticism, Meridian, New York. ^ Crabb, G. (1927). English synonyms explained, in alphabetical order, copious illustrations and examples drawn from the best writers. New York: Thomas Y. Crowell Co.
^ Blavatsky, H. P. (1888). The Secret Doctrine. Whitefish, MT: Kessinger Publishing. ^ The American Heritage College Thesaurus. Boston: Houghton Mifflin. 2004. p. 530. ^ a b c d e f g h Hanegraaff 2006, p. 887. ^ Gibbons, B. J.; Gibbons, Brian (25 October 2018). Spirituality and the Occult: From the Renaissance to the Modern Age. Psychology Press. ISBN 9780415244480 – via Google Books. ^ a b c d e Faivre 1994, p. 88. ^ a b c d Pasi 2006, p. 1365. ^ Pasi 2006, pp. 1365–1366. ^ Faivre 1994, p. 88; Goodrick-Clarke 2008, p. 196. ^ a b c d e f Pasi 2006, p. 1366. ^ a b Hanegraaff 1996, p. 423. ^ Goodrick-Clarke 2008, p. 196. ^ Faivre 1994, p. 89. ^ Hanegraaff 2006, p. 887; Pasi 2006, p. 1364. ^ Strube 2016b, p. 445-450. ^ Strube 2016b, p. 13-14. ^ Hanegraaff 2006, p. 887; Pasi 2006, pp. 1364–1365. ^ Hanegraaff 2006, p. 887; Pasi 2006, p. 1365. ^ a b c Pasi 2006, p. 1367. ^ a b Hanegraaff 2006, p. 887; Pasi 2006, p. 1367. ^ Hanegraaff 2006, pp. 887–888. ^ a b c d e f g h i j Hanegraaff 2006, p. 888. ^ Hanegraaff 2006, p. 884. ^ Pasi 2006, p. 1364. ^ Pasi 2006, pp. 1367–1368. ^ a b Hanegraaff 1996, p. 422. ^ Pasi 2006, p. 1368. ^ Strube 2016a, pp. 373–379. ^ Strube 2017b, pp. 218–221. ^ a b Partridge 2013, p. 124. ^ Partridge 2004, p. 4. Strube, Julian (2016b). Sozialismus, Katholizisimus und Okkultismus im Frankreich des 19. Jahrhunderts. Die Genealogie der Schriften von Eliphas Lévi. Berlin: De Gruyter. ISBN 978-3-11-047810-5. Occult Science and Philosophy of the Renaissance. Online exhibition from the Louisiana State University Libraries Special Collections. Accessed 2013-09-15. Occult Science at Rudolf Steiner archive. Herbermann, Charles, ed. (1913). "Occult Art, Occultism" . Catholic Encyclopedia. New York: Robert Appleton Company. eLibrary of ancient books on occultism, spiritism, spiritualism, séances, development of mediumship in the Western and Oriental Traditions. Much technical advice on ITC and EVP, and practical tips concerning the development of different forms of Mediumship provided by medium Maryse Locke. This page was last edited on 20 February 2019, at 15:08 (UTC).